Partly cloudy skies. Low near 40F. Winds WSW at 10 to 20 mph.. Partly cloudy skies. Low near 40F. Winds WSW at 10 to 20 mph. 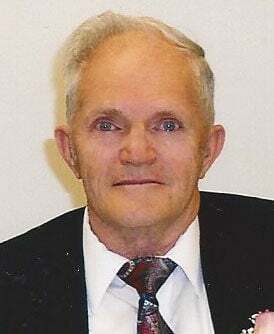 Bill was born William James Hill in Butte on Nov. 24, 1928 to William and Arbutus Hill. Bill passed away on Jan. 29, 2019 at his home. Bill attended Hawthorne Elementary School and graduated from Butte High School where he enjoyed science and boxing. He worked at J.C. Penney's before enlisting in the U.S Army in 1951. He was in Alaska during the Korean War and was honorably discharged in 1953. J.C. Penney held his job for his return from the Army. He married Kervine Chauvin in 1955. They would transfer with J.C. Penney to Cutbank, MT, Richland, WA, and Pasco, WA. They returned to Butte in 1963 and operated Ham’s Motel, which his grandparents established in 1930. After 25 years Ham’s Motel was sold and it is currently the Tamarack Square. While planning their retirement Bill designed and constructed the first underground house in the Terra Verde area. Bill was a member of the Masons Lodge for 69 years. He also participated in the Scottish Rite, Order of the Eastern Star, and joined the Shriner's in 1982. He was an advocate for the Shriner's Hospital and sponsored any child he knew with physical ailments. He enjoyed many nieces and nephews and loved helping family, friends and neighbors. He had many interesting hobbies however, if you knew Bill, he liked collecting jokes. He always had a new joke or two for you and wanted to hear yours. Bill was preceded in death by his parents, William and Arbutus Hill; grandparents, William and Selina Ham; and cousin, Phil Krisk. Bill is survived by his wife of 64 years, Kervine (Chauvin) Hill; sister, Joan Stites of Tucson, AZ; cousin, Willene Mullaney of Walkerville, MT; sisters-in-law, Lois Waterman of Newport, WA, Cheryl (Will) Carey; numerous nieces and nephews with special gratitude to Francis and Jodie Scherman, who were there when he needed someone most; and brother-in-law, John Perino, with whom he shared many good times. There will be no formal service and he requested his many friends remember him in all the good times they had together working, telling jokes and tall tales. Cremation has taken place and there will be a placement ceremony for the family by his Masonic Brothers in the spring. The family requests any memorials to be sent to the Shriner's Hospital. Axelson Alternative Cremation is privileged to serve Bill’s family.